This plaid shirt is very green. It’s most easily picked up when Sam is standing near trees or large ferns. It’s also got just a little hint of red in it. 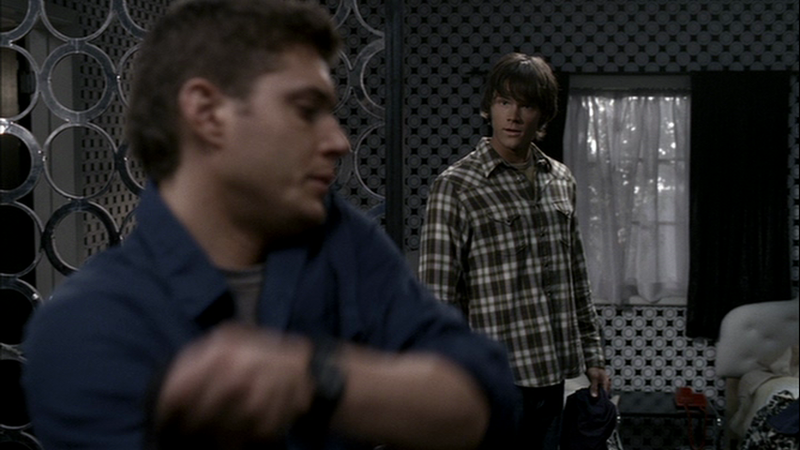 In Provenance (1x19), Sam is wearing it when Dean announces that he lost his wallet somewhere at the auction house. Sam then keeps it on until after they find the old woman dead in her house.